Ramada SeaTac Airport North hotel is located at the aviation center for the city of Seattle and the state of Washington. It is only 2 miles to SeaTac International Airport, and Boeing Field, and the Museum of Flight, are just 3 miles away. Easy freeway access offers quick trips to nearby skiing resorts, and the beautiful mountains of the Pacific Northwest. Our convenient airport location provides access to downtown Seattle, without the downtown price, and we are only minutes away from sporting events held at Safeco Field, Qwest Field, Key Arena or the University of Washington. For a relaxing stroll on the Puget Sound shoreline, Seahurst Park, in the town of Burien, is just 5 miles away and a world apart from the hustle and bustle of the city. Our 100 percent non-smoking 38 room boutique Ramada hotel has the charm of a B&B with all the conveniences of a Ramada Limited. We offer a complimentary continental breakfast served from 4:00AM to 10:00AM, free above ground and underground parking, elevator service, a guest laundry, free USA Today newspaper, a meeting room, and business center. All rooms are beautifully furnished and have microwave and refrigerator, coffeemaker, work desk, lounge chair, hairdryer, Cable TV with HBO, iron and ironing board, and San Francisco Soap Company Amenities. 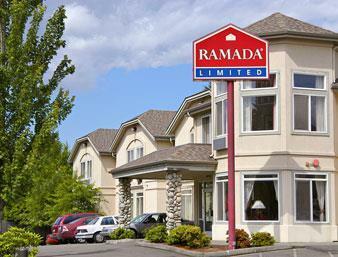 Come and discover the convenience, value, and comfort that are hallmarks of the Ramada Limited Tukwila/SeaTac Airport. "Dirty Biter" was missed so much by the town that they immortalized him in bronze and named a park after him.